Daytonian in Manhattan: The Albert Shattuck House -- No. 19 Washington Square No. The Albert Shattuck House -- No. 19 Washington Square No. As wealthy New Yorkers established Washington Park (later renamed Washington Square) as a refined residential neighborhood, Brooklyn resident Henry Ibbotsen joined in. In 1835 he started construction of a brick-faced Greek Revival residence adjoining the magnificent Federal-style mansion of George P. Rogers, built seven years earlier. Completed in 1836, the house was trimmed in brownstone and featured floor-to-ceiling parlor windows, a grand stoop leading to the entrance, and a rusticated brownstone basement. If Ibbotsen, a wealthy agent for Sheffield cutlery, ever intended to live at No. 20 Washington Square North (later renumbered No. 19), there is no evidence that he did so. In 1838 Edward R. Biddle had moved in. A commission merchant, his stay in the mansion would be brief, lasting until around 1840. He was followed by crockery merchant Henry Chauncey whose family remained in the house until the mid-1850s. The house became home to Morris Ketchum, a banker and financier. With his son, Edward, he headed the banking firm of Ketchum, Son and Company, and was a director of the Illinois Central Railroad. He died in the house on New Year’s Day 1880 and his funeral was held in the parlor a few days later. Wealthy lawyer and banker Eugene Kelly, Jr. and his family followed the Ketchum family in No. 19. He updated the house, hiring McKim, Mead & White in 1886 to design a masonry extension at the rear. It was possibly Kelly who gave the mansion the Italianate updates that survive today. At some point the house received an updated entrance with foliate brackets, and Italianate stoop newels, railings and fencing. In all probability a cast iron balcony once stretched below the parlor windows. The Kelly family was accustomed to helping strangers; not always with a happy outcome. In 1893, according to The Evening World, “one Thomas Welsh, was sent to the island for forcing himself upon Mrs. Kelly, even writing her an abusive letter.” Later that year, her husband would be ill-used by someone he tried to help. Kelly befriended a 19-year old named Frank M. Vernon, who then moved on. In December 1893 Kelly received a letter from a Chicago undertaker notifying him that Vernon had died and requesting $108 for the funeral. Kelly responded with a letter asking for details of the death, and included the money. The writer added that Vernon’s watch and ring were being shipped to Kelly. The package arrived by American Express, C.O.D. $50. After Kelly paid the money, he found only a pack of playing cards in the box. On the whole, publicity surrounding the Kelly family was more upstanding. Eugene Kelly, Jr. was a subscriber to the erection of the Washington Arch in 1896; the same year that his wife, Margaret, supported the construction of a sanitarium for the St. Joseph’s Home for Consumptives. Banker Albert Richardson Shattuck was fabulously wealthy, having made his fortune in New Orleans. He was married to Mary Strong, daughter of the former New York City mayor William L. Strong. Moving into the mansion with the childless couple was Mary’s widowed mother, Mary A. B. Strong. The refined entertainments in the Shattuck house included a series of three French lectures in 1902. The final lecture, held at 11:00 on the morning of March 4, was “An Hour of French Poetry,” given by Professor Edouard Lance. The socially correct Mary A. Born Strong was humiliated and incensed over the actions of her son, Captain Putnam Bradlee Strong that year. Strong resigned the United States Army and embarked on a world-wide tour “in company with Miss Maye Yahe,” as reported in the New-York Tribune. 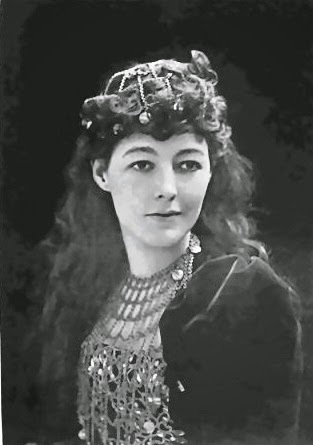 Mary Augusta Yohe, known as Maye Yahe, was not only an actress, she was a divorcee. She had recently divorced Lord Francis Hope (who gave her the Hope Diamond). Now in June 1902 newspapers reported that Strong had disappeared along with $100,000 worth of Maye’s jewels. The Shattucks and Mrs. Strong were in Lenox when the scandalous story broke. They were all drawn into the story when his mother received a suicide note from Putnam Strong, along with the pawn tickets for the jewelry. Mary A. B. Strong would not forget her son’s unforgivable behavior. In the meantime, Albert Shattuck was highly interested in the new automobiles that were taking the place of horses on the streets of America. He became Chairman of the Good Roads Committee of the Automobile Club of America and often spoke and wrote articles concerning automobile safety. The Shattucks were convinced they knew who the robber was. Just after serving dinner, their French butler, Henri Boilat, “tucked a bag under his arm and buttoned an overcoat over his livery,” said The New York Times later. He told a female servant he was going “just around the corner” and casually walked out of the house. He never returned, nor did the jewelry (the value was raised to $12,000 later) including Albert Shattuck’s diamond-studded gold pocket watch. The theft, amounting to more than $210,000 today, was unsettling; but Albert and Mary Shattuck had no way of knowing it was just the foreshadowing of a horrific ordeal to come. Albert and Mary had purchased Edith Wharton’s Lenox, Massachusetts estate, The Mount, in 1912. It was here, on July 27, 1921 that Mary A. Born Strong died at the age of 79. She left an estate of over $400,000 and her hard feelings over Putnam Strong’s earlier indiscretions were reflected in her will. A New York Times headline read “Mother’s Will Hits At Captain Strong” and the article explained that Mary Shattuck received about double that of her brother. In the meantime, Henri Boilat had been living in Paris and had become an "Apache"—the French term for a gangster. Five years later and half a world away, he still remembered the Shattuck mansion and the loot he had so easily made off with. On April 2, 1922 he was back. Boilat, whose real name was Gabriel Alfone Mauray, pulled together a group of five thugs in Paris for the sole purpose of robbing the Washington Square house. Around daybreak on April 2 they entered the front basement door with a passkey. Mauray knew that the servants would all be in one spot—the servant’s dining room—at noon for lunch. He and his men hid in the basement for hours waiting for the right time. At noon they broke into two groups. The first group focused on the servants and the second on the Shattucks. The New York Times recounted the terror initially faced by the servants. Mary Shattuck was upstairs in her living room and Albert was in the library. “Mrs. Shattuck saw two masked men tiptoeing in with pistols She shrieked before they could utter a threat. The maid untied another servant and eventually all the prisoners were loose. The butler, Charles Zaung, was able to work the combination from the inside and open the vault. Both the butler and doorman ran from the back of the house to get help. Police swarmed the house and four of the robbers ran down the front stoop and disappeared. Large, heavy bags filled with silver and other bulky items were abandoned on the floor inside. The uproar drew scores of people from Washington Square to see what was happening. All the time the fifth bandit was still in the house. Policeman Morris Greenburg was about three blocks away when the last burglar headed out of the house. The crook waved a handgun at the crowd outside and they quickly made way. As he ran, he realized that Greenberg was behind him, so he shed an overcoat weighed down by $5,000 worth of jewelry. The robber dived into a dark cellar with Greenberg directly behind. Eugenio Diaset, a 27-year old French sailor, was arrested and he confessed his part in the robbery. The Times said that the jewelry recovered was estimated to be about one-fifth of the entire haul—later estimated to be about $80,000. A physician was called to the Shattuck home to check on Mary Shattuck, whose nerves were understandably shattered. Albert, now twice the victim of his former butler, was determined that Mauray and his confederates be caught. His mission turned into an obsession and he and Mary sailed to Paris soon after the robbery—she in an attempt to distance herself from the Washington Square house and he in an effort to find the robber. 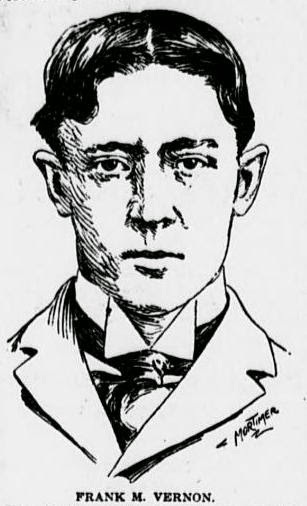 Shattuck returned to New York briefly, then returned in July to continue to spur the French police in the search for the criminal. He offered a reward of $15,000 to any detective bringing about the arrest of Mauray, alias Boilat. Mary had remained in France, “for the reason, it is said, that she still was too unnerved when her husband returned to this country to go back to their Washington Square home,” explained The New York Times on July 22, 1922. The Washington Square house remained closed until, one by one, the thieves were caught and sentenced. Each received sixty years in prison, except Mauray, the ringleader, who was sentenced to death. His term was later commuted to life imprisonment. Mary Shattuck retained possession of the mansion, somewhat surprisingly, until August 1931. After exactly three decades in the house, she sold it to the Theatre Operating Company. In reporting the sale, The New York Times said “The four-story, vine-clad dwelling stands as a symbol of the past in a district which has been invaded by tall apartment houses.” Mary sold the house for $125,000—a significant amount during the Great Depression; equivalent to about $2 million today. Newspapers reported that “The new owners plan to hold the property for the time being, but in some circles it was considered likely that the land eventually would be the site of a tall residential structure.” Instead, with the repeal of Prohibition in 1933, the elegant Shattuck mansion became a nightclub—The Washington Square Club, run by Barney Gallant. In January 1934 the Rhinelander Real Estate Company purchased the house. It applied for a restaurant and liquor license, but was refused by the State Alcoholic Board. The company was undaunted. A week later, on February 6, The Times reported “The former Shattuck home at 19 Washington Square North…will be conducted, it was ascertained yesterday, as a private club for one year by Barney Gallant. By establishing the Washington Square Club as a private club, the owners could circumvent the public restaurant requirements. The name was changed to the Washington Square Restaurant. The magnificent mansion finally met the fate of many of New York's surviving grand homes. On October 19, 1944 it was announced that “The old Shattuck family home at 19 Washington Square North, the scene more than two decades ago of one of the most sensational robberies in the city’s police history, will be converted into an apartment house.” The interiors were sensitively divided to create high-end apartments, and the Washington Square Gallery moved into the basement level. In the 21st century the house was purchased by New York University and converted to the NYU Abu Dhabi Offices. Here lectures, research workshops, exhibitions and other programs are staged as part of the NYU Abu Dhabi Institute. The handsome mansion is carefully maintained. Few passersby or students visiting the building can imagine that one of the most sensational crimes in Manhattan history played out within its walls.